Colorado Springs Marriott is reinventing the way you travel. 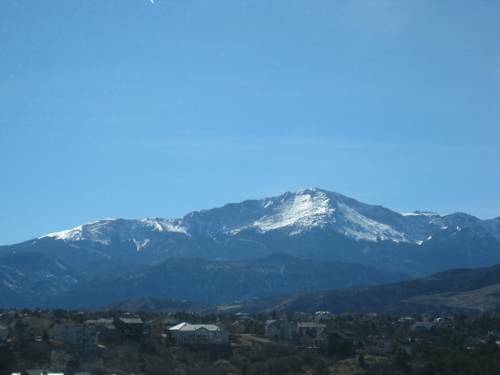 Located near the Rocky Mountains, our hotel makes a perfect home base for outdoor enthusiasts embarking on climbing or hiking excursions at Pikes Peak and Cave of the Winds. When it's time to enjoy the great indoors, we offer easy access to all the shops and art galleries in downtown Colorado Springs. After a day of exploration, take time to unwind in our renovated, pet-friendly rooms and suites. Feel free to connect to our complimentary Wi-Fi to stay in touch with loved ones. In the mornings, fuel up at our full-service restaurant featuring a stylish outdoor patio with fire pits and breathtaking views. Professionals hosting conferences and celebrations can reserve one of our 15 flexible event spaces. During downtime, keep your exercise routine intact at our fitness center and pools. Whatever brings you to Colorado Springs Marriott, find the amenities you desire. Ascent Restaurant & Bar: Take your taste buds to new heights at our restaurant, serving American cuisine with a modern twist. Elevate your dining experience in Colorado Springs by reserving a table on our outdoor patio, where you can enjoy striking views of the Rocky Mountains. Lobby Bar: Savor light bites and delicious drinks during downtime.